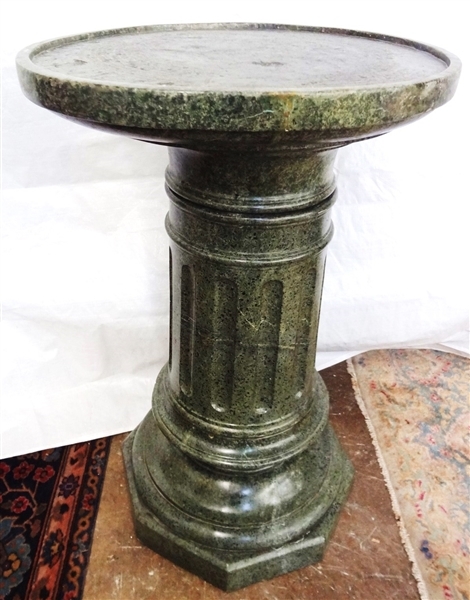 Massive Corinthian Columnar Green Marble Garden Stand: Just magnificent solid marble table top plant stand. In three sections weighing well over 1000 pounds. 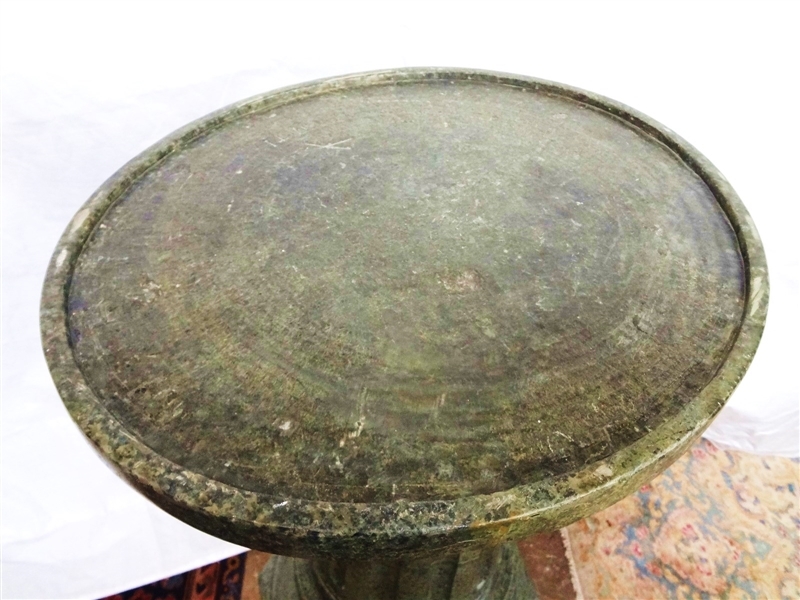 Measures 37.5" tall, table top measures 26 x 22. 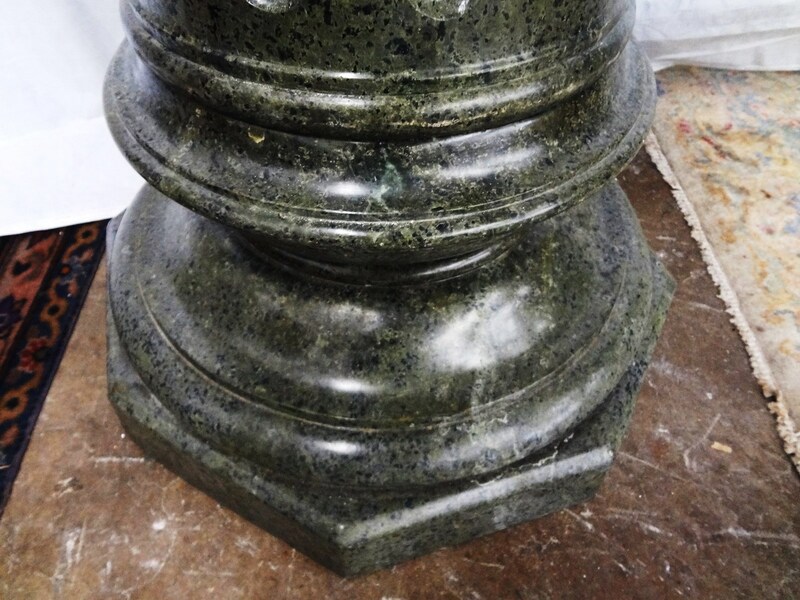 Base is octagon in shape. 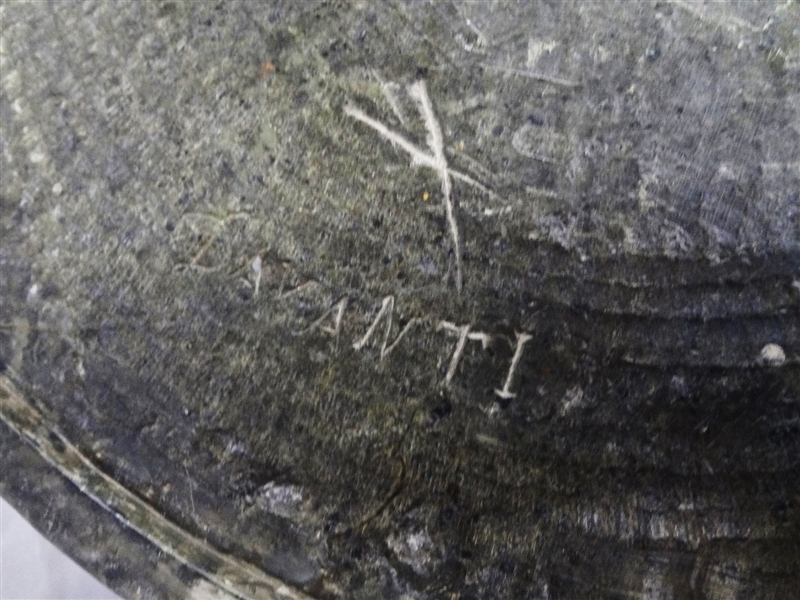 The word "Davanti" etched into table top which in Italian translates to Front or Anterior. 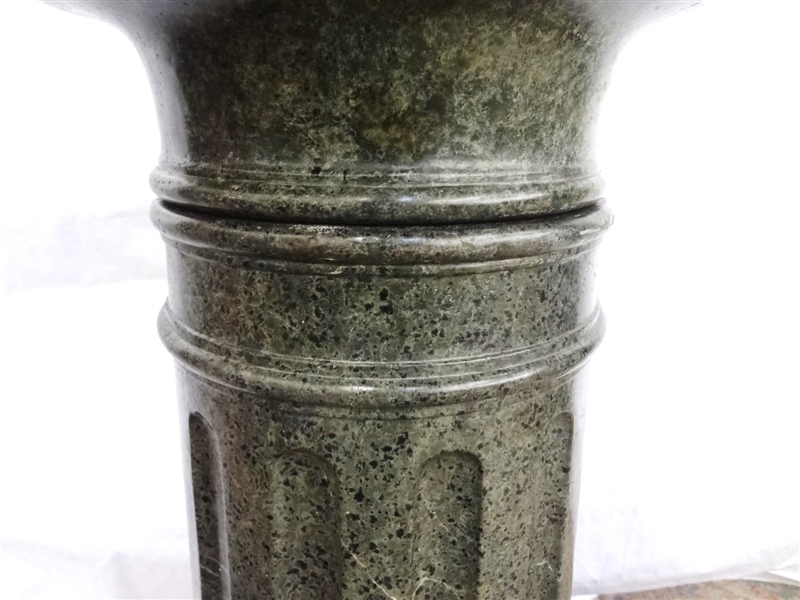 No repairs, chips or cracks.